Prior to joining the University of Southampton in September 2014, Pingli held academic positions at Middlesex University and Beijing Technology & Business University (China). She has taken the roles of programme and module leader, and taught the modules of management accounting, corporate finance, financial statement analysis, and international accounting at both undergraduate and postgraduate level. Pingli’s research interests include management control systems and organizational change, the institutionalization of management accounting practices, the use of management control techniques in Chinese State-owned Enterprises and the public sector, the roles of independent directors in listed companies, and environmental performance and corporate governance. 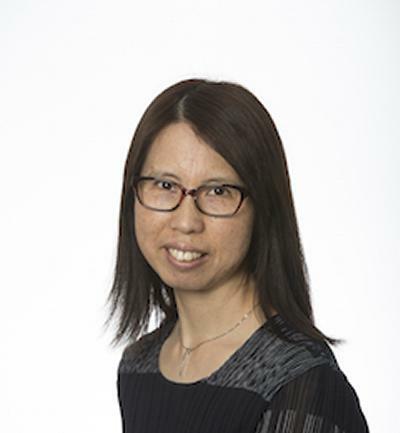 In addition to the publications in a number of Chinese accounting journals, her recent publications appear in British Journal of Management and Management Accounting Research (UK). She has successfully completed a number of externally funded research projects. She is the editorial board member of the Qualitative Research in Accounting & Management (ISSN: 1176-6093, Emerald) and Journal of Management Accounting Studies (China), and have acted as a reviewer for British Journal of Management, Accounting Education: an international journal, International Journal of Performability Engineering, Journal of Accounting in Emerging Economies, and a variety of international conferences. Pingli welcomes PhD applications in the above areas. "Management Accounting Theoretical Framework and Practice Guidance for Public Sectors’, 2017, commissioned by the Ministry of Finance of the People’s Republic of China (2015KJA007), and collaborated with Prof Xuegang Cui (Beijing Normal University). “The Use of Management Accounting Techniques in the Public Hospitals in China”, 2016-2017, commissioned by the Ministry of Finance of the People’s Republic of China (2015KJA007), and collaborated with Prof Xuegang Cui (Beijing Normal University) and Ms YuanYuan Xu (Cancer Hospital Chinese Academy of Medical Sciences). Xue, B. and Li, P. (2016-2017). “The relationship between multi-dimensional environmental performance, corporate governance, and corporate financial performance: an investigation of UK companies”, Southampton Business School. Tang, G., Li, P. and Chen, G. (2008-2010). “The comparative study of the control of international joint venture in China”, the National Nature Science Foundation of China. Hoang, G. V., Broad, M., Li, P., & Bui, H. TM. (2017). Exploration of factors influencing civil servants' job performance culture in Vietnam. Paper presented at The Role of Public Governance in Achieving Sustainable Development Goals, Seoul, Korea, Republic of. Hoang, G. V., Broad, M., & Li, P. (2017). Paradox of entanglement affecting Vietnamese civil servants' job performance: A grounded theory approach. Paper presented at Centre for Research in Accounting, Accountability and Governance, Southampton, United Kingdom. Li, P., Tang, G., & Dai, L. (2017). Strategy and management control in embracing market-political paradox: the case during institutional transitions in emerging economies. In EURAM 2017 European Academy of Management. Xue, B., Li, P., & Zhang, Z. (2017). The relationship between multi-dimensional environmental performance and firm value and risk. Paper presented at European Financial Management Symposium 2017, Xiamen, China. Xue, B., Zhang, Z., & Li, P. (2016). The relationship between multi-dimensional environmental performance and corporate financial performance: an investigation of UK companies. Paper presented at International GARI Conference: The Globalization of Corporate Governance: Does Compliance Kill Values and Enterprise?, United Kingdom. Dai, L., Li, P., & Zhi, X. (2015). The institutionalization of management accounting change: an observation across societal, organizational field, and organizational levels. Paper presented at British Accounting & Finance Association (BAFA) in Emerging Economies Special Interest Group Workshop (AFEE), United Kingdom. Dai, T., Li, P., & Tang, G. (2013). The use of MCS in managing strategic change – how to balance the balance. Paper presented at Management Accounting Research Group Conference, . Li, P., Tang, G., & Dai, N. T. (2012). Economic value added adoption in Chinese SOEs-a case of evolutionary change. London, GB: Chartered Global Management Accountant. Li, P., Tang, G., Okano, H., & Gao, C. (2011). Management controls in automotive international joint ventures involving Chinese parent companies. (Research Executive Summary Series; No. 7:9). London, GB: Chartered Institute of Management Accountants.